“Fine-tuning the Sonic Color-line: Radio and the Acousmatic DuBois,” Modernist Cultures, 10:1 (2015): 99-118. “‘Just Be Quiet Pu-leeze’: New York’s Black Press Fights the Postwar ‘Campaign Against Noise,’” Radical History Review (Winter 2015): 145-168. “W.E.B. 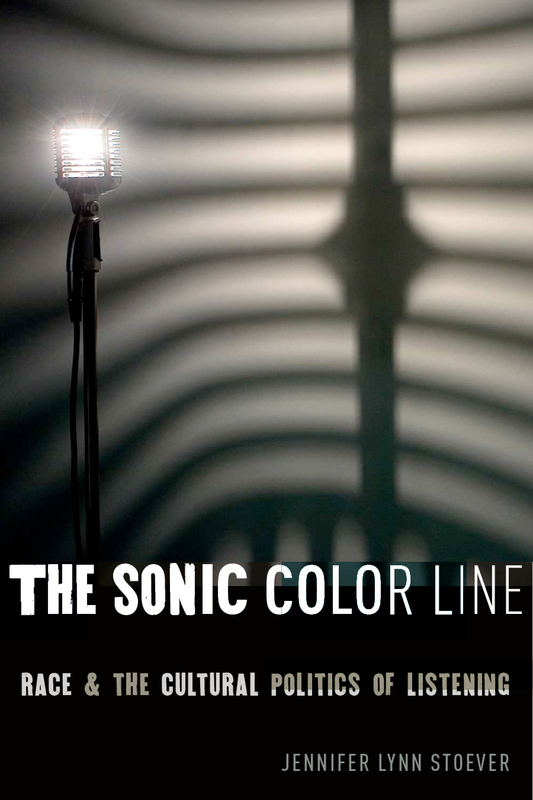 Du Bois and the Sonic Color Line,” Studi Culturali. (April 2013): 71-88. “Reproducing U.S. Citizenship in a Blackboard Jungle: Race, Cold War Liberalism, and the Tape Recorder,” American Quarterly 63:3 (September 2011): 781-806. “Splicing the Sonic Color-Line: Tony Schwartz Remixes Postwar Nueva York,” Social Text (Spring 2010): 59-85. “Under the Western Eyes of Fashion: Marie Claire’s Construction of Global Feminism,” The Wages of Empire, Marguerite Waller, Amalia Cabezas, and Ellen Reese, eds. (Paradigm, Fall 2007): 40-54. “‘Haute Culture’ for Mail Order Missionaries: Representing the Third World Woman in the American Magazine,” Social Identities: Journal for the Study of Race, Nation, and Culture (September 2006): 595-613. “Bad Reputation: Rock Studies Rethinks American Identity,” The Iowa Journal of Cultural Studies (Spring 2004): 92-105. “Aural Postcards” and “The Binghamton University Soundwalk Project” in Listening to the City Toolkit: Engaging and Amplifying Unheard Voices Through Creative Practice, MIT Colab Project: 2018: 88 and 102. Liner notes and annotated track listing, “Off the 60: A Mix-Tape Dedication to L.A.,” Re:Present L.A. exhibit Catalogue, Vincent Price Art Museum, Los Angeles, California (Spring 2012). n.p. Review of Gerri Hershey’s We Gotta Get Out of this Place: The True, Tough Story of Women in Rock, postscript (Fall 2005): 93-98. “Audible Angels: A Critical Discography of Hip Hop in Los Angeles,” Resonance: An Interdisciplinary Music Journal (Spring 2004): online. Review of Saidiya Hartman’s Scenes of Subjection, E3W Review of Books (Spring 2003): 18-20. “Reproducing U.S. Citizenship in a Blackboard Jungle: Race, Cold War Liberalism, and the Tape Recorder,” in Sound Clash, Josh Kun and Kara Keeling, eds. (Baltimore, MD: Johns Hopkins Press, 2012): 337-362.